The Sequence diagram is one of the Unified Modeling Language (UML) Behavioral diagrams that can be used to define the time ordered flow of messages between elements. They can be used by business and technical users but are more commonly used for technical descriptions of a system. Time is by convention represented on the vertical axis and elements (Classifiers or Instances) are positioned horizontally at the top of the diagram. Commonly an Actor (representing a role played by a user) starts the flow and messages are passed between the elements showing how a result is achieved. The Sequence diagram can be used to model any set of messages that flow between two or more elements to produce a result. 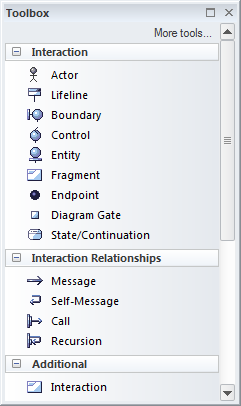 They are more typically used by technical modelers to depict how messages are passed between application components and interfaces to achieve an outcome. They are particularly useful when used to describe complex protocols or subsystem interactions that are difficult to understand unless presented graphically. Sequence diagrams can also be created automatically from stack traces as a way of visualizing how a system functions. The elements that appear in Sequence diagrams can be either Classifiers such as Classes and Components or instances such as Objects and Component Instances. The choice will depend on what the modeler wants to represent. The order of objects and messages can be altered to make the diagram more readable and notes can be used to explain parts of the diagram. 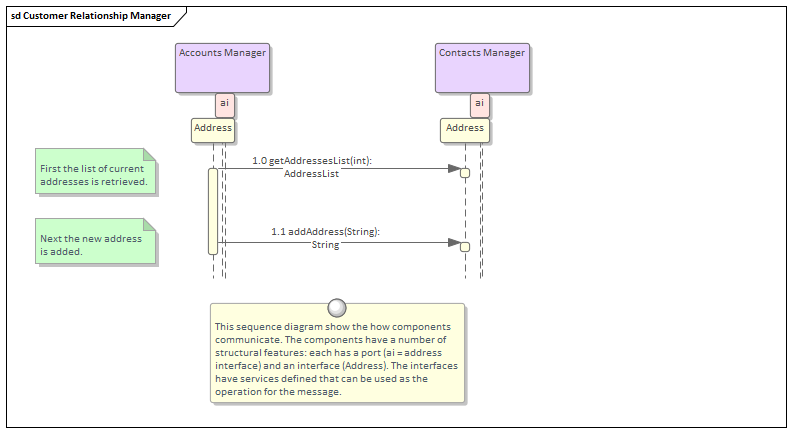 Fragments can also be added to represent control structures that operate on a group of messages.